Guinea pig, or cuy (kwee) as they call it in Cuzco, is eaten frequently. Raising domesticated guinea pigs is widespread in the city and region. One group in particular is sure to raise cuyes in their home, the older generation. They raise them not as pets, per se, but as food. Besides them the people who immigrate to the city from the countryside are sure to have guinea pigs in their home. They come to find a “better” quality of life and give a “better” education to their children. Guinea pigs as food are part of that strategy. 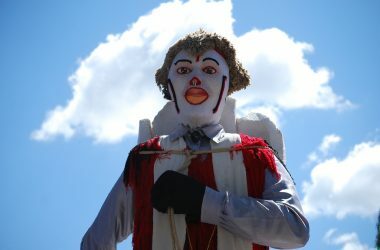 The families of Cuzco like to raise cuyes at home. It is a custom that continues from generation to generation. 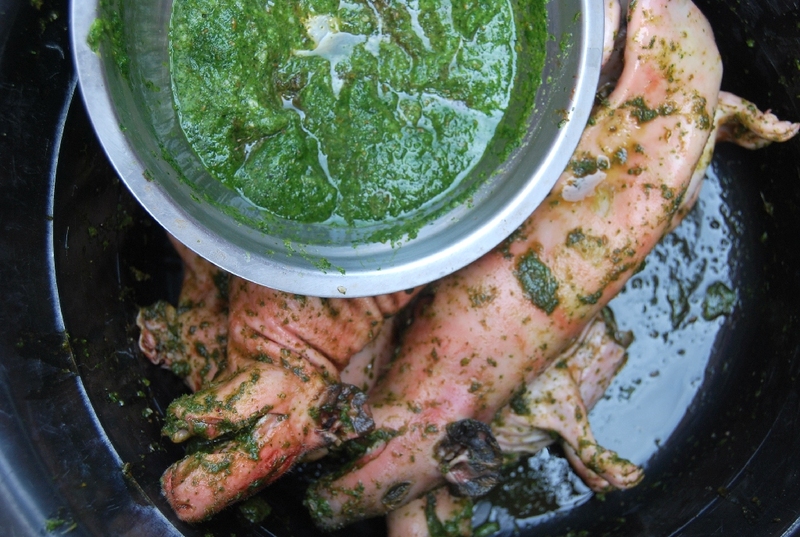 This is done so that when there is a special occasion or a Sunday family meal they can share the pleasure of enjoying a special guinea pig meal. To speak of the cuy makes our mouths water. If we were to speak of where you can find these delights outside of the family home the water would become a flood. You do not find these dishes easily in the city of Cuzco, though there are places. We call them caletas, wariques, points, and so on. These are popular restaurants oriented to cuzqueños and for us their food is as if for gods. 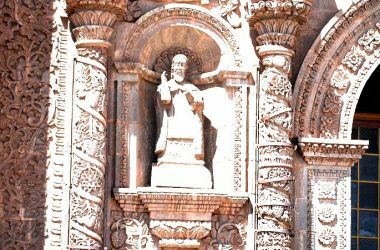 These places are also called cuyerías. Two well known ones are Moqueguano and Bella Vista. They are found in the city’s north east from where the view of the city is spectacular. 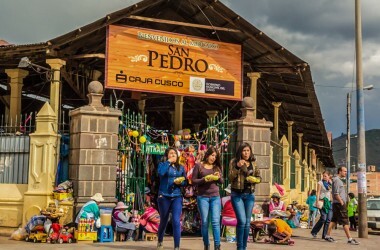 These two are the principal places most recognized by Cuzcqueños in general. From 11 am till 4 pm they sell guinea pig in its different variations. 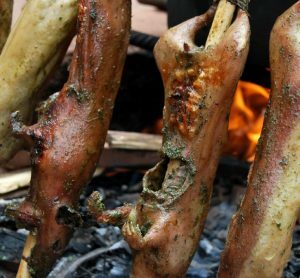 Their menu can include Cuy al horno, (baked cuy), Cuy Chactado, Pipian of Cuy (Cuy in a sauce), and Cuy Canca or fire roasted cuy on a spit. This last, is one of the most preferred by Cuzqueños. 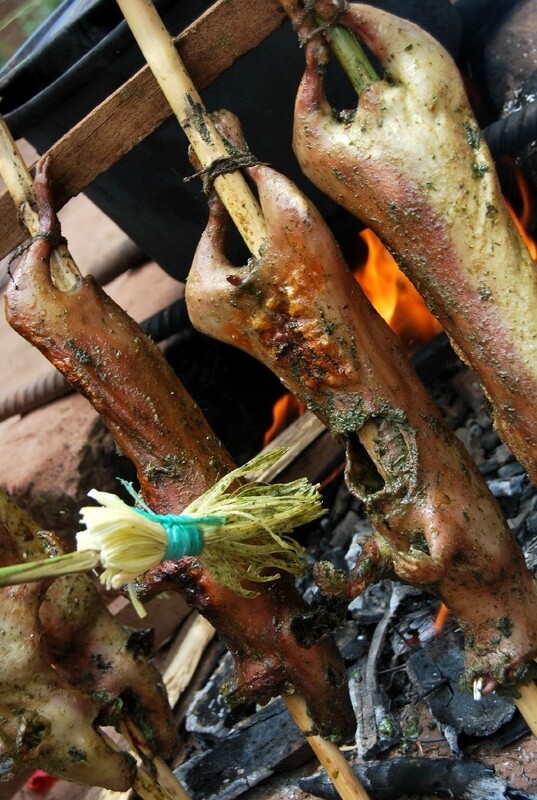 It is called cuy canca in Quechua and cuy al palo (guinea pig on a stick) in Spanish. Whatever the name, this is a classic dish from Cuzco’s countryside. There it is a special dish and, to be fair, few people in the city maintain the technique and knowledge of how to make it. This dish is made traditionally by placing spitted cuyes upright in front of the opening to the cooking fire and then turing the spits occasionally to make sure they cook evenly. As the older people say, you have to choose the guinea pigs that have a “good neck” (buen cuello). Those are the ones that are ready to cook. The preparation of this dish is a complete experience that I had the opportunity to watch recently. The best guinea pigs are selected and then they are skinned in boiling water, to remove all their fur. Then they are gutted and cleaned completely. Once ready they are seasoned. The seasoning is made from huacatay, garlic, ground cumin, and salt. This mixture is ground into a paste on the batán. 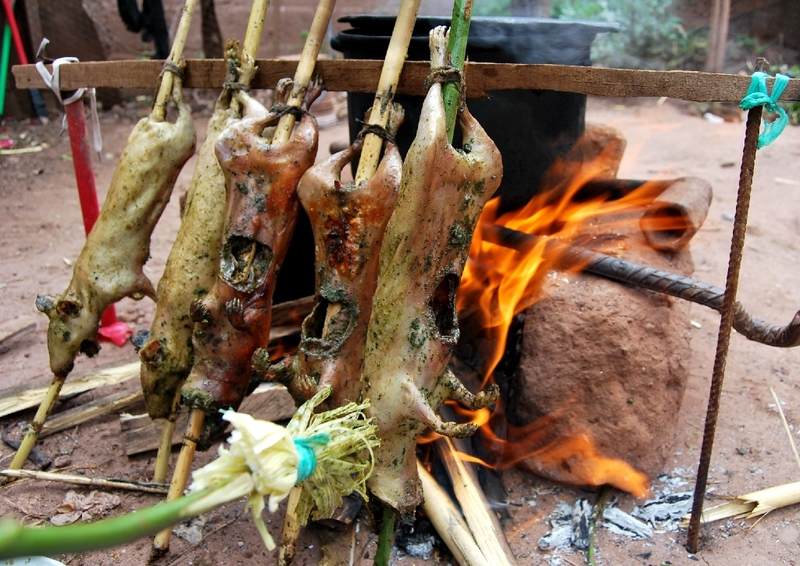 Once the cuy is well seasoned, inside and out, we select some good sticks to pierce through the body of the cuy. We place them standing up close by a hot fire. As they cook little by little you have to turn the sticks while anointing them with oil. We use for this a brush made from a corn husk. The oil is mixed with the seasoning paste to concentrate the flavor. This process takes about an hour. The meat ends up being very tender and flavorful. We serve it with a boiled potato, stuffed rocoto pepper, and hot sauce (uchucuta). The tenderness and flavor of the meat is delicate and is a delight for the palate. Making this exquisite cuy canca is really a family experience since everyone joins in the process of cooking it. It is fun, as if a game, to cook this cuy before the hot coals. 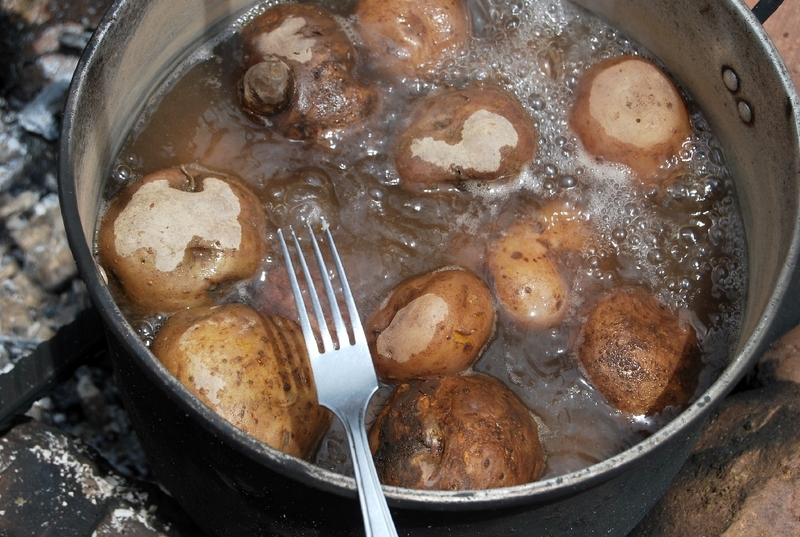 The older people remember their days in the countryside when they would make this dish. This kind of gastronomy is unique and traditional to use. We are proud of it. 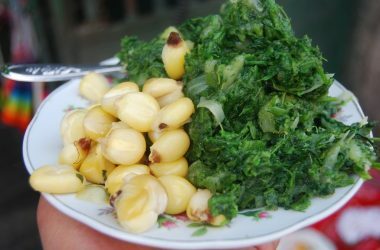 Many people who now live in Cuzco came from the countryside and brought this delicious dish with them. Eating it is truly an experience of Andean gastronomy.